It must seem to you, my dear reader that all I ever write about is’ The Chronicles of EMS‘ now. Well, I guess that it is taking up the vast majority of my time and is impacting on the amount of time I have to write about some of the other stuff that I enjoy sharing with you all. But, I do also realise that what initially brought you to this blog was my re-telling of the stories that I encounter whilst working the streets in my area. I am back at work this weekend and so I plan on getting through some of the 20 odd draft posts that I have started but haven’t finished. I will have a couple of the usual posts back up this weekend, so blogging should return to some sort of normality for a short while before I head off to Baltimore and the EMS Today conference early next month. I would also like to apologise to my fellow bloggers. There are many blogs that I used to be active on in their comments section, but again this seems to be slipping. Rest assured though, I still read each and every post of the 90 blogs that I subscribe to, and I keep marking many of them so that I will go back and comment on, but in the vast majority of cases, by the time I get back to them, the conversation has moved on somewhat. 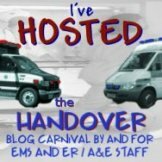 Anyway, I promise to be better and try to include all aspects of my blogging and membership of this wonderful EMS Blogosphere. Normal service will resume this weekend! no apologies necessary- this is a big deal to a lot of us right now :)No matter what you write, I'll still be around… reading and loving it! CoEMS/EMS2.0 is a big deal and absolutly bolgworthy. For those who just want to read what's going on in the street, might I suggest they be patient and allow the important things be addressed first. This IS big and if we don't push this there may well be no reason to write about the street action other than to vent our frustrations.Blog on adlib! !